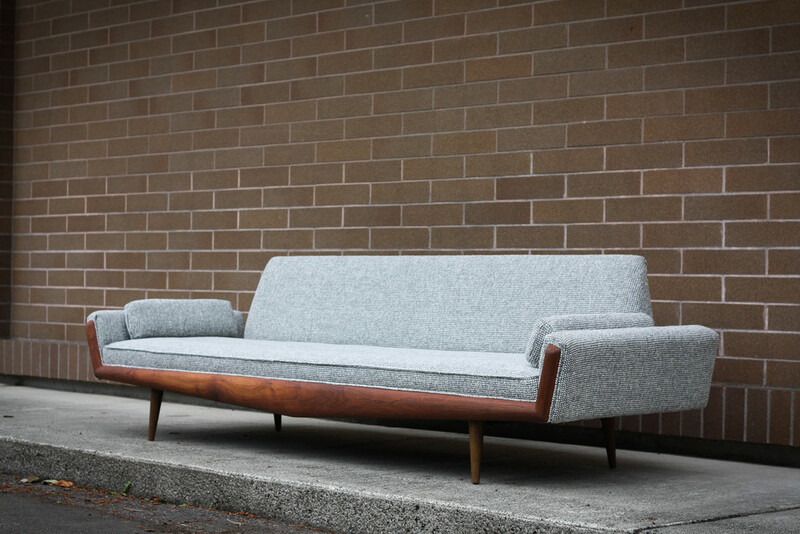 Check out this Stunning Model 2000-s Gondola sofa by Adrian Pearsall for Craft Associates. Completely refinished with an insanely pretty tone to the walnut wood trim. 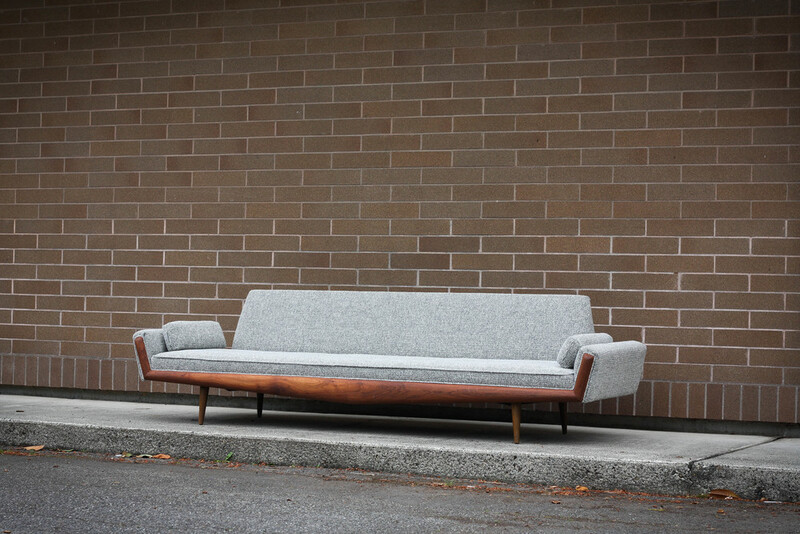 All new high density foam and dacron wrapping in the button tufted seat. 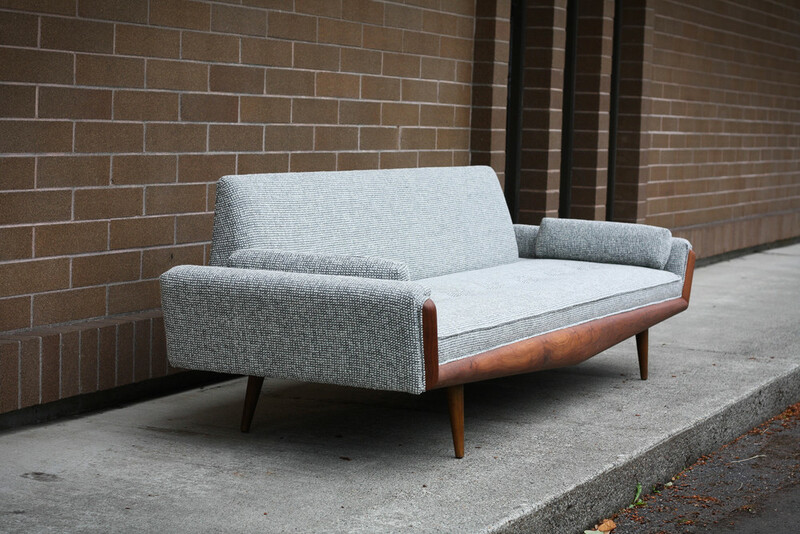 Dressed up in 9 yards of Maharam Pebble Stone Slate wool fabric. The fabric alone retails for $135/yard. 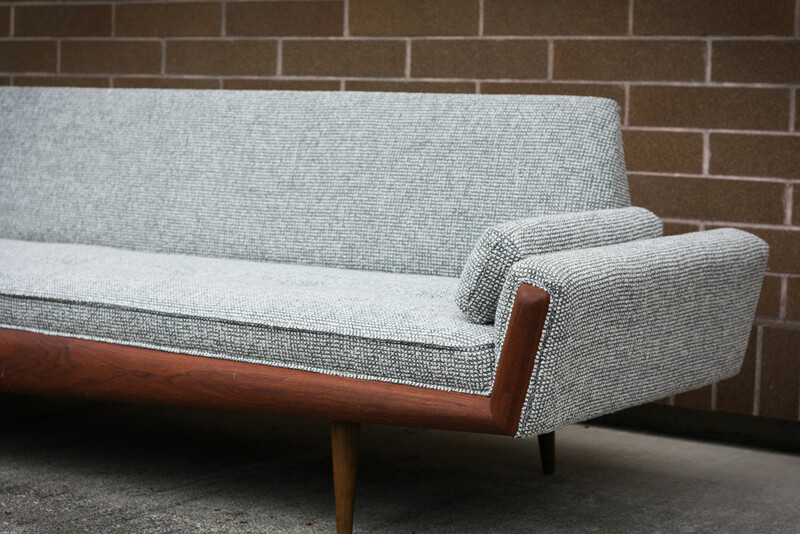 You can't beat the angled tapered legs that give the sofa the appearance it's floating in mid air. 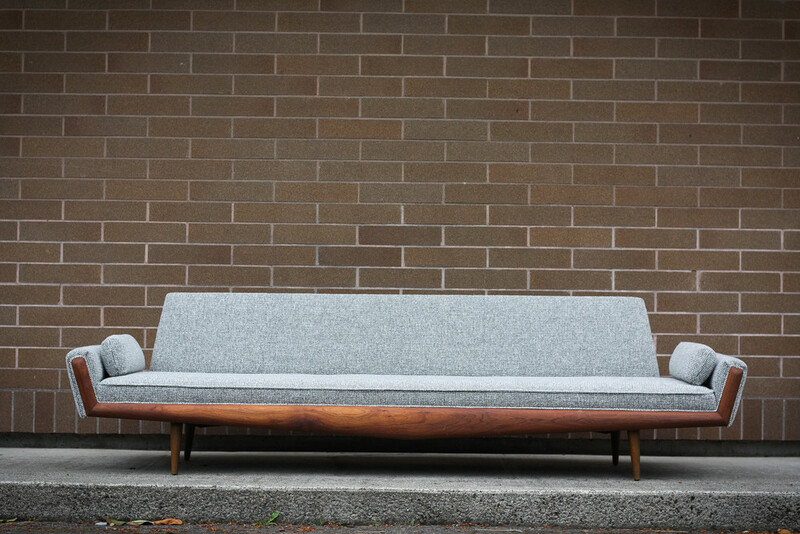 If a sofa looks this good after 70 years, you know it's a solid investment.